Glue-top ruled pad for easy sheet removal. Secured at the top with latex gum adhesive. Rigid chipboard backing for notetaking. Glue-top ruled pad for easy sheet removal. Secured at the top with latex gum adhesive. 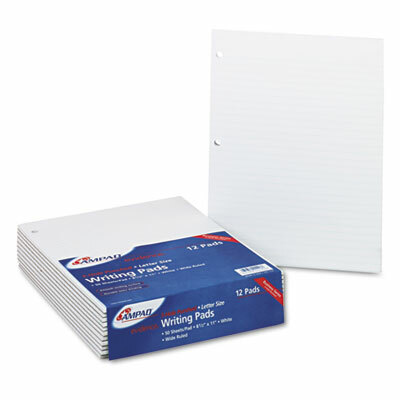 Rigid chipboard backing for notetaking.